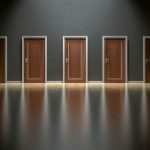 There are more intelligence products than ever and the insights that companies can extract from the mounds of data being created and collected are critical in order to guide important business decisions. Sisense is at the forefront of “self-service” business intelligence by giving businesses total control over data and the ability to add datasets and analyze them without the need for dedicated data scientists. The service can even extract key data points and insights from IoT devices like smart light bulbs and Amazon’s Alexa. Sisense data engine is a favorite of Fortune 500 companies, already being used by companies like Rolls Royce and Air Canada to unlock key insights. AlleyWatch chatted with Sisense CEO Amir Orad to discuss its trajectory and latest round of funding, which brings its total funding to $174M over five rounds. Tell us about the product or service that Sisense offers. 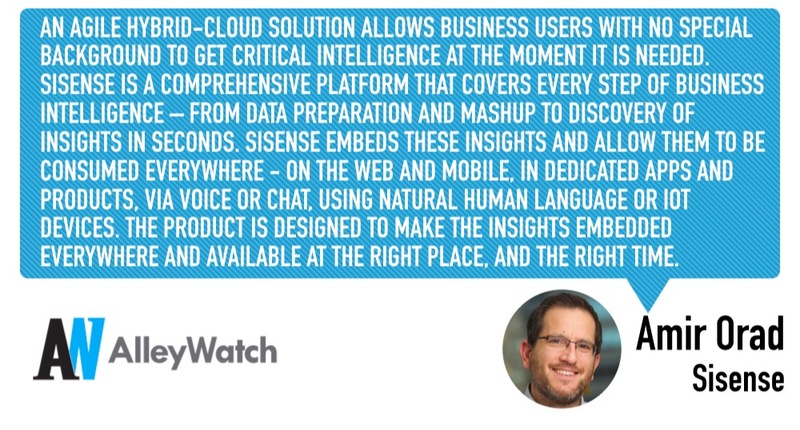 Sisense is at the forefront of “self-service BI” because of its single-stack solution. It gives users the ability to add datasets, make relevant connections, prepare the data, and analyze it in a single solution, and without the help of IT or data scientists. Because of this design, Sisense has led the way as the first company to allow users to access insights through devices like Amazon’s Alexa and smart light bulbs, which provide an instant view of key metrics using color. Sisense has also been a leader in leveraging bots to access insights and using machine learning so that dashboards can provide insights and alerts autonomously. What inspired the start of Sisense? Sisense started in the early 2000s when the founders came up with a revolutionary idea: Data analytics can be made easy to use and instantly accessible by radically improving data processing capabilities through technological innovation. For six years the company worked in stealth mode to develop and perfect its In-Chip™ data engine, which broke what was then considered to be an “immutable law of computing power,” analyzing 10 terabytes of data in 10 seconds using a run-of-the-mill server. For six years the company worked in stealth mode to develop and perfect its In-Chip™ data engine, which broke what was then considered to be an “immutable law of computing power,” analyzing 10 terabytes of data in 10 seconds using a run-of-the-mill server. 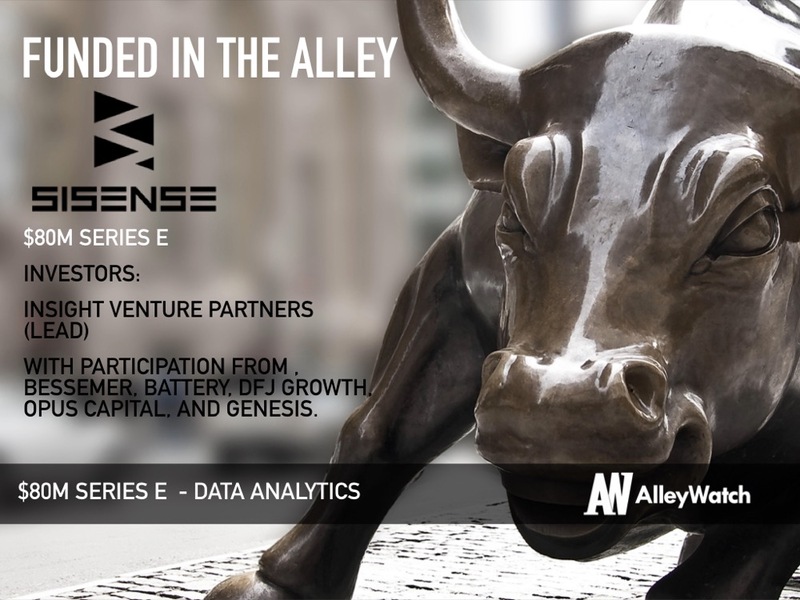 Since launching its first commercial release in 2010, Sisense has seen meteoric growth that shows no sign of slowing, with headquarters in New York, raising close to $200 million in funding (including our recent raise), and acquiring tens of thousands of users across the globe. Sisense takes a radically different approach to business analytics, with an agile hybrid-cloud solution that allows business users with no special background to get critical intelligence at the moment it is needed. 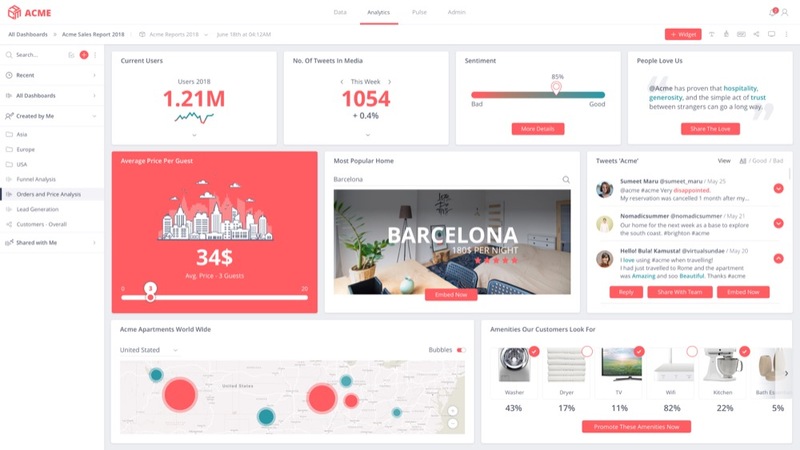 Sisense is a comprehensive platform that covers every step of business intelligence – from data preparation and mashup to discovery of insights in seconds. Sisense embeds these insights and allows them to be consumed everywhere – on the web and mobile, in dedicated apps and products, via voice or chat, using natural human language or IoT devices. The product is designed to make the insights embedded everywhere and available at the right place, and the right time. What market does Sisense target and how big is it? Sisense serves an estimated $30B market for business analytics (according to Gartner). Sisense has thousands of clients across dozens of industries, ranging from innovative startups to global Fortune 50 brands. Leading companies such as GE, Nasdaq, Philips, and Oppenheimer have leveraged Sisense’s market-leading analytics for some time and the company continues to add notable customers including TIAA, Rolls Royce, Air Canada, Accenture, Expedia’s Egencia and Mazda. Sisense is a subscription business model. 100% of our business is made of recurring revenue with annual subscription based on the size of the deployment. The funding process went remarkably quickly. There’s a general understanding that, given the mountains of data that are being produced by business, there was a growing need for technology that could extract the insights. How has the business changed since we last spoke in 2016 after your Series D round? At that point, there was a major emphasis on self-service analytics based on the idea that, if made easy enough to use, everyone would be building and using their own analytical dashboards. What we realized in the interim was that there were certain people who needed data-driven insights, but had no desire to use, let alone build, their own dashboards. This led to the evolution of the major theme that drove our most recent raise: Insights Embedded everywhere. At that point there was a major emphasis on self-service analytics based on the idea that, if made easy enough to use, everyone would be building and using their own analytical dashboards. What we realized in the interim was that there were certain people who needed data-driven insights, but had no desire to use, let alone build, their own dashboards. This led to the evolution of the major theme that drove our most recent raise: Insights Embedded everywhere. With this recent funding raise, the company is expanding this mission to embed insights everywhere and to make those data-driven insights intuitive, accessible, and impactful for business users, including those with no technical background. Sisense does this by giving users access to data-driven insights also through voice and chatbots, while automating the entire journey from raw data sources to consumable intelligence. As we continue to scale and grow, Sisense will go even further to provide exactly the right information to the right user, when and where it’s needed. 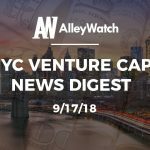 The biggest challenge we faced was deciding who to partner with, and we chose Insight Ventures. The second one was how much money to raise as the round was oversubscribed. We didn’t want to raise too little or too much and decided on the $80M. 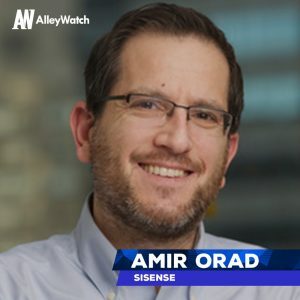 Adam Fisher at Bessemer Venture partners might have said it best: “Sisense has a unique approach to business intelligence. It’s not a data or analytics company but, rather, an insights company. The recent, stellar funding round reflects the value of this philosophy, and the team of professionals working to keep client satisfaction at heights that are almost unheard of in the technology space. I would advise that companies focus on providing real tangible value to their clients and building a healthy set of the cloud economics/metrics. When these two happen in parallel things are much easier, whether you’re in New York City or anywhere else. Near-term, we will focus on growing our amazing team and innovating further. There is a big market out there waiting to be disrupted!